Some clouds this morning will give way to generally sunny skies for the afternoon. High 58F. Winds NNE at 15 to 25 mph. Higher wind gusts possible..
Patty Schachtner defeated Republican state Rep. Adam Jarchow for an open state Senate seat Tuesday in an upset victory for struggling Wisconsin Democrats, signaling voter anger toward President Donald Trump that could cost the GOP more legislative seats in the fall elections. Jarchow tweeted his concession to Schachtner late Tuesday evening, with returns nearly complete across five counties and Schachtner leading by more than 1,600 votes. 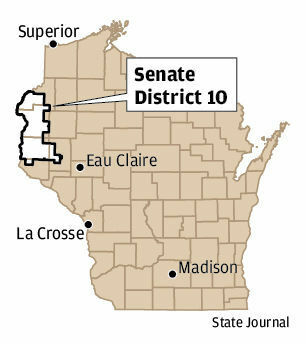 Schachtner, the St. Croix County medical examiner and a Somerset school board member, had entered the race in northwestern Wisconsin’s traditionally conservative 10th Senate District as the clear underdog. The district has trended conservative for years. Republican Sheila Harsdorf held the Senate seat for 16 years before she resigned in November to become Gov. Scott Walker’s agriculture secretary and every county in the district voted for Trump in 2016. 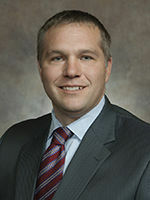 Jarchow is in the middle of his third term representing the area in the Assembly and had built a formidable base. But Democrats banked that anti-Trump backlash could even the playing field. Republicans sensed it, too. Conservative groups Americans for Prosperity and the Republican State Leadership Committee both ran ads supporting Jarchow, and Republican state Sen. Leah Vukmir, who is running for U.S. Senate, traveled to the district to campaign for him. Schachtner’s victory doesn’t change the balance of power in the Senate. Republicans will go into the fall campaign season with an 18-14 majority with one vacancy. But her win is a sign of hope for Democrats, who have been pushed to the brink of irrelevancy after seven years of Republican control of both legislative houses and the governor’s office. Also Tuesday, Democrat Greta Neubauer of Racine won a special election for an open seat in southeastern Wisconsin’s 66th Assembly District. She replaces Democrat Cory Mason, who is stepping away to serve as mayor of Racine. Neubauer was unopposed. Republican Rick Gundrum of Slinger defeated Democrat Dennis Degenhardt for an open seat in eastern Wisconsin’s solidly red 58th Assembly District. The seat opened up in October after incumbent Republican Bob Gannon died. Page through this slideshow to see the most-read stories of January on madison.com. Two Minutes with Mitch Henck: Does Democratic Senate win send a signal?